Wärtsilä, a Finnish corporation, is a global leader in the marine and energy sectors, manufacturing engines and power sources and providing technical and consulting services. Wärtsilä’s major shareholders include many Finnish and Swedish public and cultural foundations. Investor AB, a Swedish investment company controlled by the Wallenberg family, with ~$30 billion in assets and controlling stakes in a number of leading corporations, holds 17.7 percent of Wärtsilä’s shares. Fiskars Corporation, Finland’s oldest company, holds over 5 percent of the shares, while Varma Mutual Pension Insurance Company (over 5%), Finland’s largest pension and insurance company and largest investor, holds over 5 percent. The Society of Swedish Literature in Finland, a prominent scholarly and cultural society, holds almost 1 percent of the stock, while Finland’s State Pension Fund and the Social Insurance Institution of Finland hold almost 1 percent each. Keva, the Finnish municipal workers’ pension fund, has 1.3 million workers and ~$39.2 billion in investments and holds 0.56 percent. Elo, the largest mutual funds insurer of the self-employed in Finland (~400,000 people and some 85,000 private entrepreneurs, with $24 billion in investments), holds 0.76 percent. 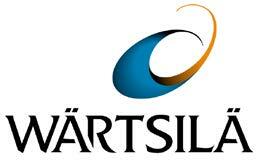 Additionally, many private funds hold shares in Wärtsilä. Investor AB, Annual Report 2016, https://www.investorab.com/investors-media/reports/; Wärtsilä, “Flaggings,” http://www.wartsila.com/investors/shares-shareholders/shareholders/flaggings. Wärtsilä, “Wartsila in Brief,” http://www.wartsila.com/invhttp://www.elo.fi/estors/wartsila-as-an-investment. Aujourd’hui Le Maroc, “Dakhla: 184 Million DH to Increase the Production of Electric Power,” September 15, 2008, http://aujourdhui.ma/regions/dakhla-184-millions-dh-pour-augmenter-la-production-de-lenergie-electrique-58875. http://www.corcas.com/Western-Sahara/Contract-signature-to-increase-capacity-of-electric-power-production-in-Dakhla--486-1358-7986.aspx; Site Culturel du Sahara, “Signing of a Contract to Increase the Capacity of Electric Power Production in Dakhla,” September 3, 2008, http://www.sahara-culture.com/Sahara-Occidental/Signature-d%E2%80%99un-contrat-pour-l%27augmentation-des-capacit%C3%A9s-de-production-d%27%C3%A9nergie-%C3%A9lectrique-%C3%A0-Dakhla-149-485-1229.aspx. Kingdom of Morocco, Ministry of Energy, Mines, Water, and Environment, “Major Projects in the Electricity Sector,” January 13, 2016, http://www.mem.gov.ma/SiteAssets/Monographie/DirectionsCentrales/DE.pdf.